The brainchild of Sal Khan, the non-profit Khan Academy has grown from its founder creating YouTube math tutorials for his cousins, into a world-class education platform available to anyone, anywhere. It offers over 1 billion lessons, and is used monthly by 40 million students and 2 million teachers worldwide and growing. We were engaged to help relaunch LearnStorm, a global back-to-school campaign. With ambitious sign-up goals for the initiative, the campaign needed to engage and inspire teachers and students alike. 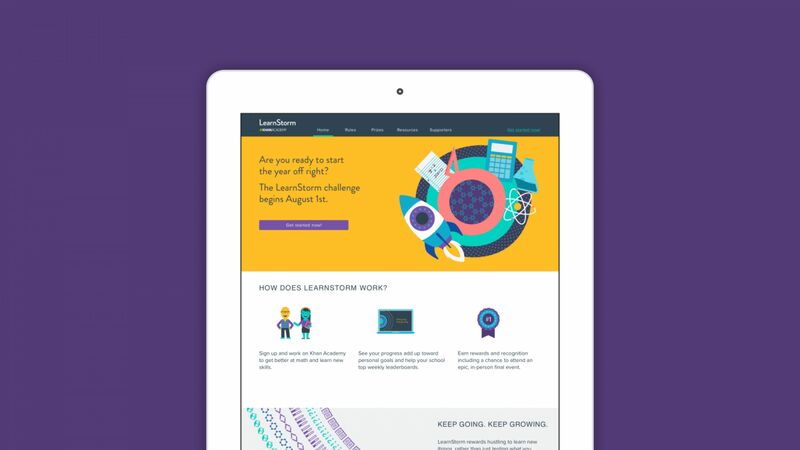 A 6-week initiative designed to jump-start the school year, LearnStorm empowers teachers to motivate and support students, building learners’ confidence and self-esteem in the process. Students study subjects at their own pace, working their way through a series of research-backed activities to earn points and badges as they learn and achieve. Participating schools and classes are inspired to work together through tools that record their progress and help them to encourage one another. LearnStorm centers around the concept of Growth Mindset, an understanding that abilities and learning can be developed. 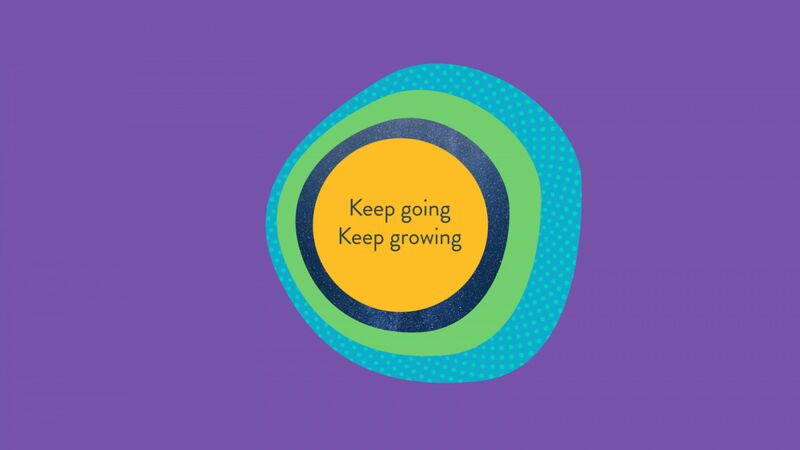 We created a system that visualises learning in a positive way, reinforced by the tagline we defined for the campaign: Keep going, Keep growing that has become the mantra of the initiative. 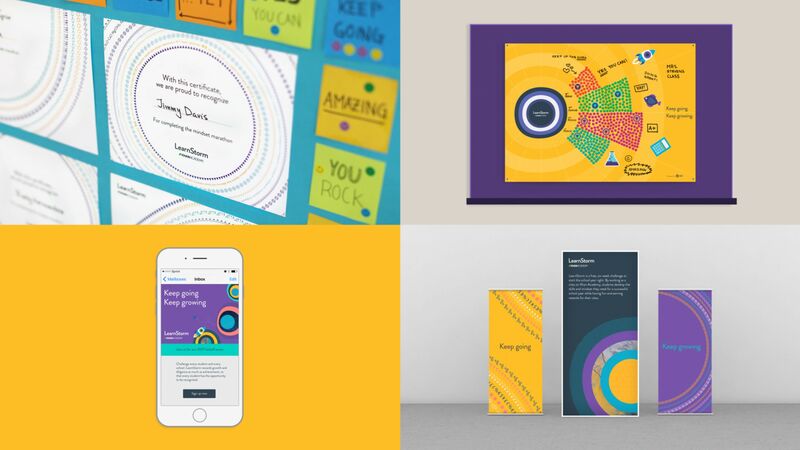 At the heart of the campaign we created a design language that would bring to life the Growth Mindset concept. 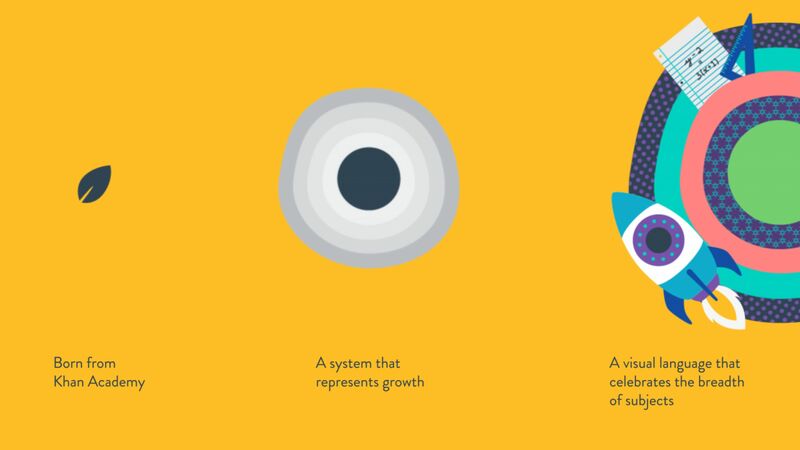 Born from Khan Academy’s original identity, we used the leaf logo as an inspiration to build a system of tree rings as a shorthand for growth and progress. The system allowed the flexibility to build many ‘worlds’ of learning across subject matter and curriculums. The objective for 2017 was to sign-up 14,000 teachers and 500,000 students. The campaign exceed all expectations resulting in 23,000 teachers signing up - a 64% increase on target, and 975,000 students joining the initiative - an extraordinary 95% above the goal. a campaign that celebrated the joy of learning. The success of LearnStorm 2017 gave us the opportunity to collaborate again in 2018. We worked closely with the team to refresh the designs to coincide with a new Khan Academy brand identity while preserving recognition of the core concept from 2017. We produced a variety of assets including an robust library of social media posts, branded banners for their social channels and updates to presentation templates. The 2018 campaign brought a freshness to the look and feel of the campaign, while building on the recognition that had been established amongst an attentive audience. 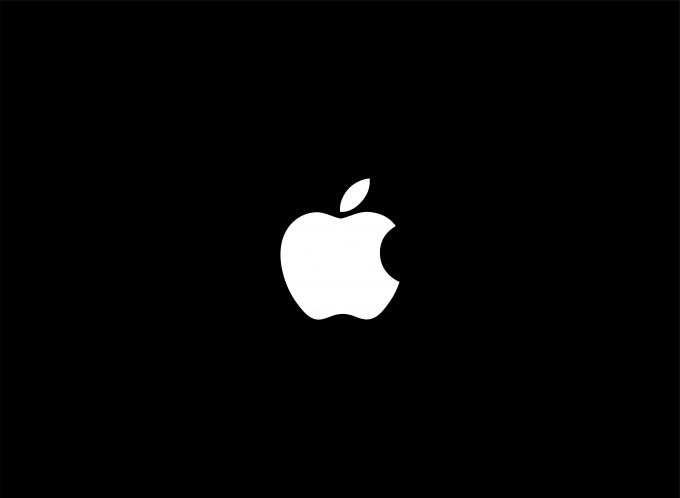 More on Communications at Moving Brands here.